I love the balance of raspberry and cookie in this juice. It's not too sweet, and it's a bit creamy. It's part of my regular rotation. I've never been one for fruity vapes but I got this as a freebie/promo last time and wow! 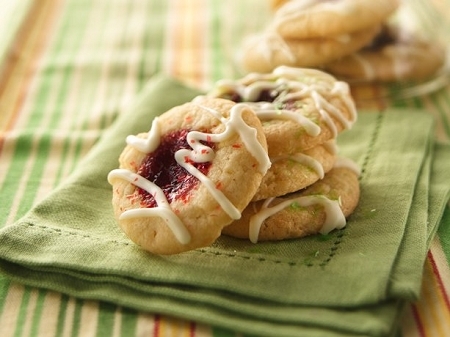 Take their already fabulous shortbread cookie flavor, add sweet raspberry and bingo, deliciousness is yours. The best of both worlds for sure; so glad I got a chance to try it, yet another to add to my ever-growing favorites list. What will the Altcig flavor angels dream up next? I don't know, but I do know that no matter what it will be good! Light on the fruit and heavy on the cookie. Very refreshing vape. I would have never tried this because I generally don't like fruity vapes. Sunny snuck a sample bottle of this into my order, now I'll have to add this to my daily rotation of delicious Alt-Cig juices! If you are like me, you always had those raspberry shortbread cookies every Christmas time cause they would come in one of those cookie sampler tins. This stuff is dead-on. I vape a bit of this and then switch to the sugar cookie to help fully simulate the tin-experience. Another dreamy vape! I never would have ordered this on my own. It is fabulous. Cant stop vaping this!! A little bit tart and a whole lot yummy! This one needs a few days to steep. On first try it was a bit tart but still really good. Another 24 hours and it all melded together lusciously. The raspberry is now pretty sweet and the shortbread cookie adds a subtle sweetness that mellows it out just the right amount. I must have more!! EXACTLY as described & SO good!! I have to admit this tastes EXACTLY like a raspberry shortbread cookie,I'm completely amazed! I have tried just about every vendors' "bakery" vapes and this is the first one that tastes as described.I didn't think a dessert vape would ever be an all-day vape for me,but this one has opened my eyes,wow just amazing AltCig!!! I agree with all the other reviews written. This is one of my favorite eliquids. The flavors blend together for one tasteful sweet vape! TH and vapor production are great too. Would like to add that customer service can't be beat. Great people! This tastes just like a homemade cookie straight from the oven, crumbled up, liquefied and put in the bottle. It's not overpowering, you can taste the delicious raspberry and the buttery shortbread. Well balanced. It's hard to put down. They weren't kidding when they said you have been warned! This is DEFINITELY SPOT ON of the real thing! Just another QUALITY juice from AltCig and another one to add to my favorites! I have to admit I'm not real big on fruit flavors especially Raspberry..BUT :) I have to also admit I really really enjoyed this yummy creation. The reason I tried it was because it also included shortbread cookie..can't resist that from Altcig. I was not disappointed. I don't know what you do..but the bakery flavors just really stand out for me..that exhale is *sigh* wonderful! Thanks for yet another tasty treat.